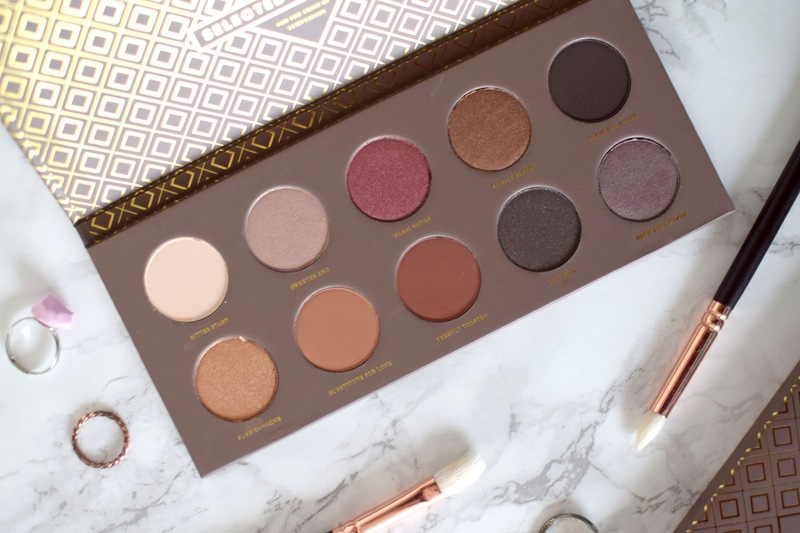 The first time I saw this palette I knew I had to have it, I'd heard rave reviews about it and the colours looked so different they really drew me in. Zoeva as a brand I could only really judge them on their makeup brushes, which I absolutely love! When I found out this palette was only £15 and had free delivery on Beauty Bay, I couldn't say no! Just the description made me weak at the knees! "Our Zoeva Cocoa Blend Palette results out of a world of sweet sins. Inspired by warm truffle colours, delicate nougat shades and shimmery marzipan tones for a seductive glamour makeup." Although it was sold out for a while on Beauty Bay, after checking back a couple of times I managed to snap it up and I'm so pleased I did! I absolutely love the lightweight packaging, makes it great for travelling, especially compared to something heavy like the Urban Decay Naked palettes. I also love the gorgeous geometric design, it's very art deco, reminds me of The Great Gatsby! I'll talk through all the shades, top row L-R - Bitter Start (a gorgeous semi-matte light beige), Sweeter End (a shimmery pinky shade), Warm Notes (a beautiful metallic rich cranberry shade), Subtle Blend (a pearlescent deep bronze shade), Beans Are White (a super dark brown matte shade). Bottom row L-R - Pure Ganache (a metallic golden copper shade), Substitute for Love (a semi-matte orangey brown shade), Freshly Toasted (a reddish brown matte shade), Infusion (a semi-matte deep brown shade with a golden satin finish), Delicate Acidity (a pearlescent plummy taupe shade). I'm obsessed with those shade names! Nearly every shade I adore, they're all super buttery, not unlike Urban Decay or Too Faced (for half the price!). Apart from Beans Are White which was a bit wishy washy they colour payout and pigmentation is amazing! There are some amazing glitter shades, perfect for Christmas time! Along with some matte shades that would look lovely in the crease and all over the lid! Overall I've been super impressed with this palette and have already been scoping out the others! 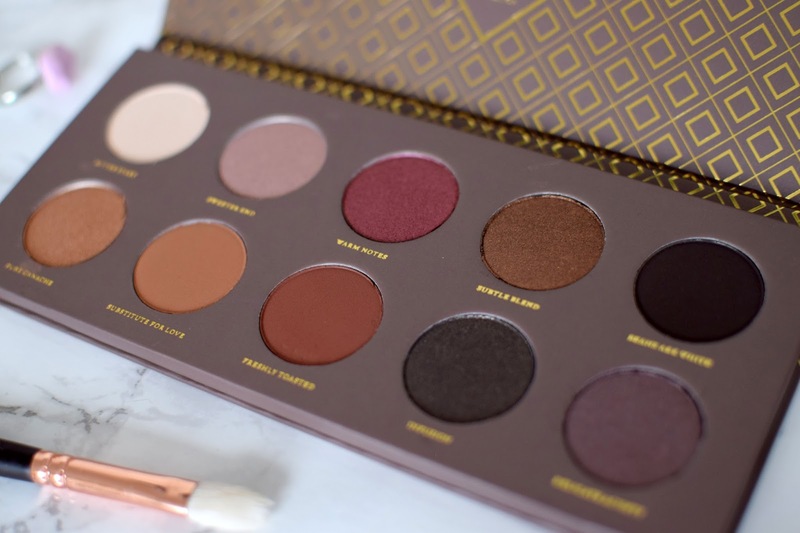 Have you tried the Cocoa Blend Palette? The names are adorable and all the shades look so beautiful, it's definitely one for the Christmas wishlist! I've not yet tried this palette or anything from Zoeva for that matter - this palette looks gorgeous with so many lovely wearable shades!